Candy Crush Saga creator King is about to launch the mobile edition of yet another title in its hugely lucrative Saga franchise. As the social gaming company puts it, it will “soon ‘mine’ for more casual gamer attention” with the upcoming launch of Diamond Digger Saga on iOS as well as Android. 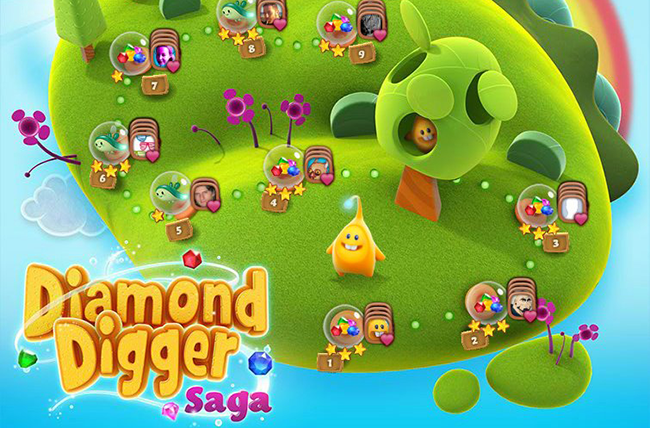 Already a popular game on Facebook, Diamond Digger Saga is going to make its debut on iOS soon to let you dig and blast your way through various gem puzzles on your iPhone, iPod touch, or iPad. Throughout the game, players will be tasked with mining their way deep within the glistening lands of Diamond Dale, Turquoise Meringue and other fantastical locations while uncovering special treasures and clearing away groups of three or more jewels to reach the target score. Players are tasked with clearing a path to allow for the water to flow freely to its destination, sending them through portals to interconnected rooms, each with its own wondrous task for discovering new gems and advancing to the next the level. 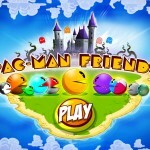 Currently, King has the following Saga games officially out on the App Store: Pet Rescue Saga, Papa Pear Saga, Farm Heroes Saga, Bubble Witch Saga, Bubble Witch 2 Saga , Pyramid Solitaire Saga, and, of course, Candy Crush Saga. King is also set to launch the Candy Crush Saga sequel Candy Crush Soda Saga.